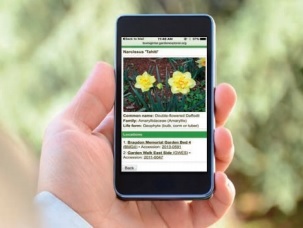 Use Garden Explorer on your smart phone in the Garden to help you find and identify plants. • Use the Tours function to plan a tour of the Garden, or take a virtual tour from home. 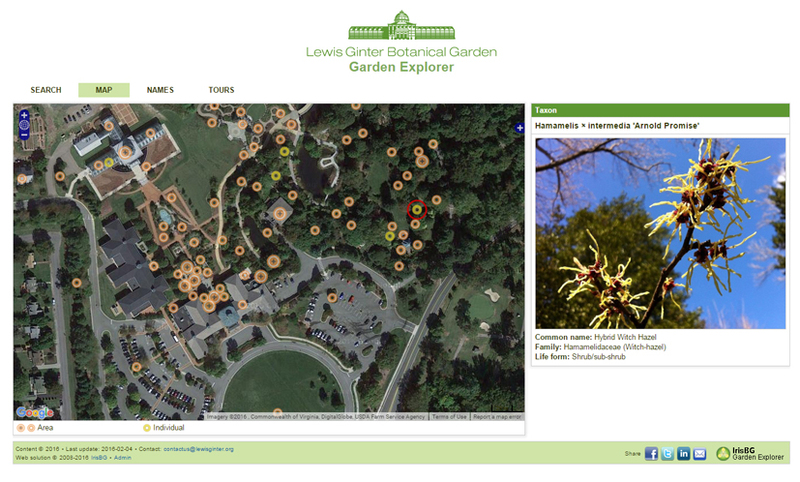 Visitors can pinpoint their location on the map, making it easier to navigate the Garden. In the future, users will be able to search for Garden features, such as memorial benches and trees. They also will be able to participate in self-guided Garden tours (even virtually) that highlight plants of seasonal and thematic interest. Try it yourself! Please share this news so others can enjoy Garden Explorer, too! This software enhancement is made possible through a grant from the Stanley Smith Horticultural Trust. Use our Maps or Tours function on your mobile device or personal computer. Even take a virtual tour!